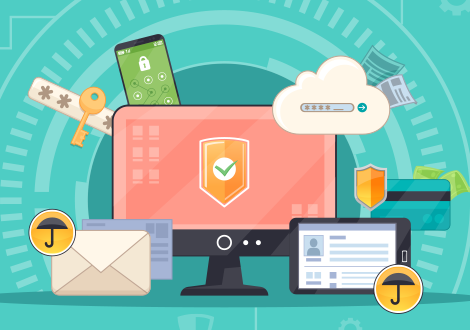 Antivirus software companies focus on providing adequate protection against a growing number of security threats, but there are also a number of free options available, including free basic programs from the same developers that also offer subscription-based packages. One major benefit of the free antivirus software lies in its very name that highlights it is free-of-charge. Free virus protection software is considered to be a convenient way to try out the product before committing to it. These free antivirus editions are capable of scanning for malware, and often have the option for automatic scans. Some free editions also have additional protection tools such as a built-in firewall or a browser add-on that checks for bad links. With a free antivirus edition, you can increase the tool's basic security with countless security utilities and there is indeed a huge number of mix-and-match combinations with other free tools, VPN services, browser add-ons, and programs you can choose from to customize your protection suite to fit all your requirements without spending any money. Antivirus software is a program designed for detecting, removing, and preventing malware infections on separate computing devices, IT systems, and networks. It is also capable of protecting against an extensive range of threats, including various types of malicious software, such as Trojan horses, keyloggers, botnets, spyware, ransomware, worms and browser hijackers. Removes any malicious software it detects. A few antivirus software programs are capable of doing this automatically in the background, while others notify users of infections and ask them if they want to clean the files. Antivirus software must specifically be given privileged access to the whole system in order to scan systems in a comprehensive manner. This allows antivirus software itself to become a common target for attackers. Recently, researchers have discovered remote code execution and various other serious vulnerabilities in antivirus software products. The distribution of antivirus software takes place in a number of forms, such as stand-alone antivirus scanners and internet security suites that provide antivirus protection, together with privacy controls, firewalls and other security protections. There are antivirus software vendors who offer antivirus free versions of their products. Let's take a look at some of these free antivirus features. Comodo Free Antivirus is available with exceptional security features that enable it to become one of the best free antivirus existing in the IT security industry. Your PC is successfully protected from trojan horses, worms, viruses, spyware, rootkits, adware, backdoors and other malware infections, including the highly dangerous zero-day malware. Default Deny Approach–Prevents all files by default from entering the system until they establish themselves to be harmless. Host Intrusion Prevention System (HIPS)– Potential to comprehensively monitor your PC and prevent the entry of malicious attacks. Search is performed through a 'set of behavior analyzers'. VirusScope– A unique technology to this antivirus free program, which is useful for local PC analysis. It also allows PC users to undo malicious-looking changes which PC(s) might have recorded due to malicious actors. Containment–A technology for backing the default deny approach by 'restraining' or 'containing' files and then running them in an individual environment, until they establish themselves to be harmless, without affecting the security of your PC. Cloud-based Behavior Analysis – Valkyrie: The increase in zero-day malware has resulted in the need for a cloud-based behavior analysis system, capable of keeping up with the various latest malware, to be quite critical. Efficient Whitelisting: Potential to mark specific files as trustworthy and give them default access. Avira employs up-to-date technologies and regularly updates its virus signature database to provide top-notch virus protection in real time. Avira is one of the antiviruses capable of performing signature database updates most frequently. This antivirus monitors all active processes and reacts instantly if any threat is detected. This antivirus free version is completely equipped with Antivirus, Anti Adware, Anti Dialer, Anti Spyware, Anti Bot, Anti Phishing tools, Anti Rootkit and Anti Spam. In Game Mode, Avira will not disturb you with notifications while you play. The WebGuard module is the latest feature that helps to protect you from threats while downloading from web pages or surfing the worldwide web. Avast Free Antivirus scans for performance and security issues and guides you on how to fix things immediately. It protects you in real-time by examining unknown files before they get to you. Detects and blocks malware, spyware, ransomware, viruses, and phishing. Uses smart analytics to block threats before they affect you. Automatically sends suspicious files for analysis in the cloud, and pushes a cure to all Avast users if it is a threat. Identifies all those cracks which allow malware to slip in via unsafe passwords and settings to out-of-date software and suspicious add-ons. Automatically detects weaknesses in your home Wi-Fi and strangers piggybacking on your network. Kaspersky Free Antivirus offers necessary PC protection by identifying malicious files, links, and scripts. The level of functionality and protection are of the most advanced standard. Bitdefender Antivirus Free Edition is free to use, extremely fast, and loaded only with the bare-bones protection features essential for all computer requirements. Uses behavioral detection in order to closely monitor your active apps and takes immediate action when it detects anything suspicious. All these antivirus free versions are sure to provide you with all the basic requirements for protecting your computer from various threats and even removing any malware infection. Comodo's free antivirus version is available with all these basic features including the Default Deny Protection which, when compared to other security software, denies access to a program if it is not in Comodo's comprehensive whitelist. The cloud-aware security features available with Comodo's free antivirus program are light on the system and offer regular virus scanning and behavior analysis report.